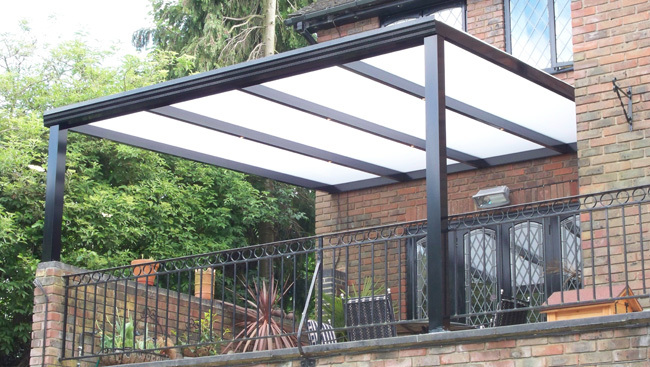 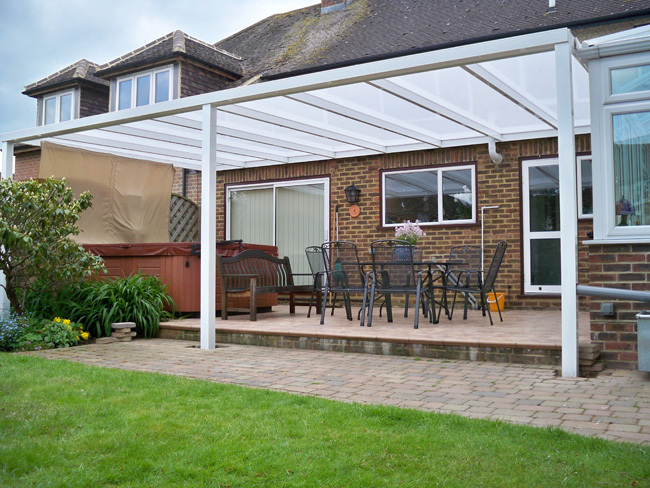 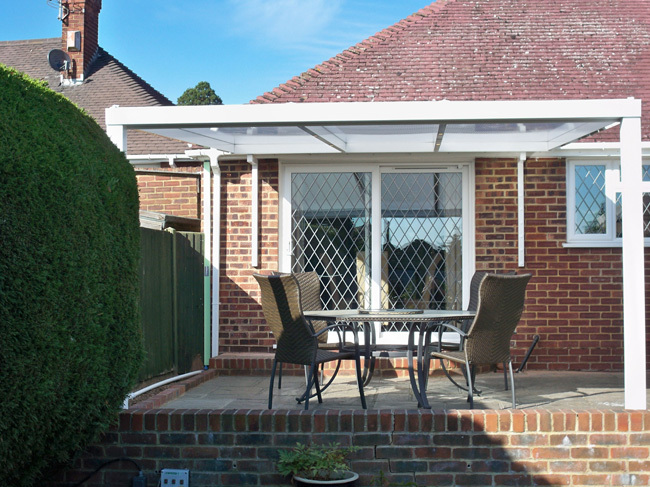 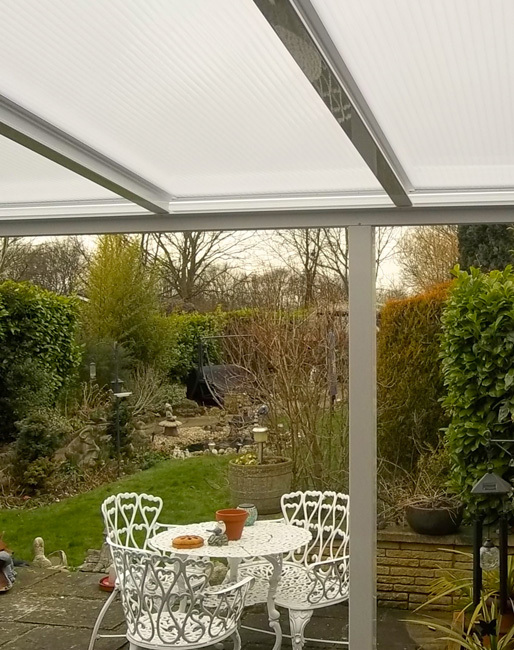 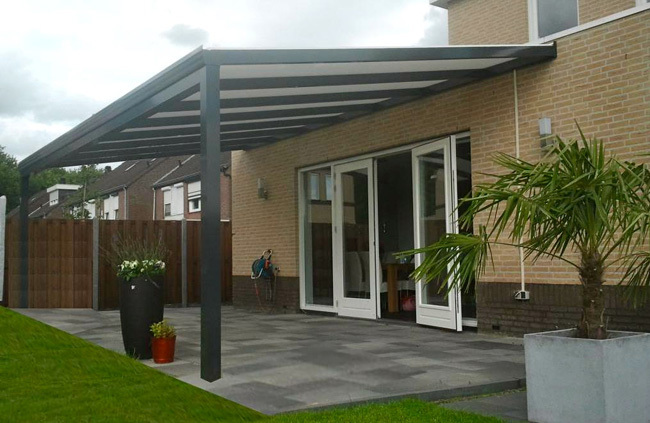 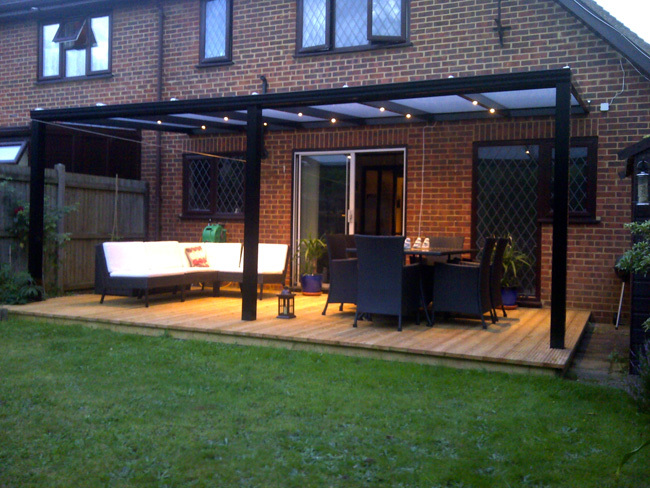 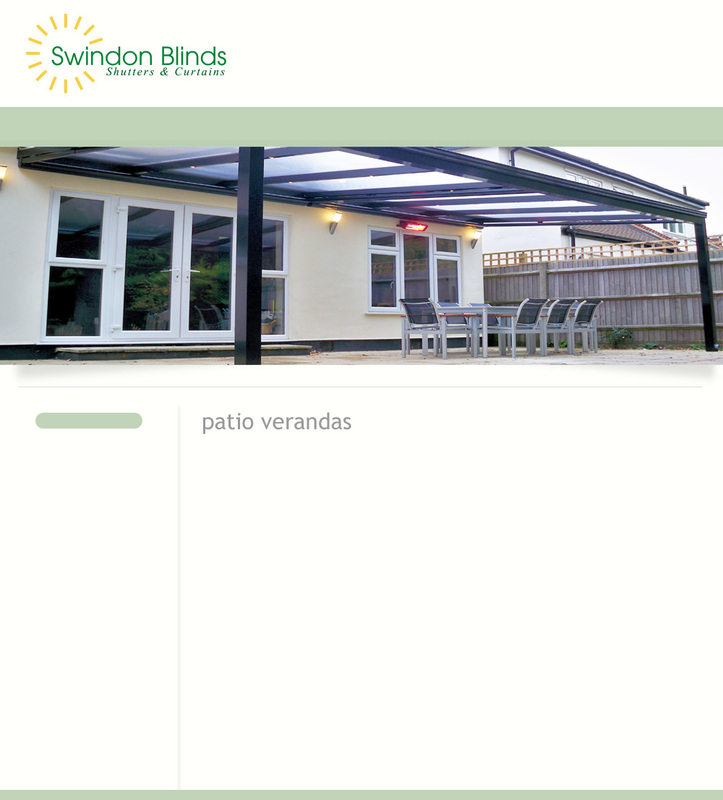 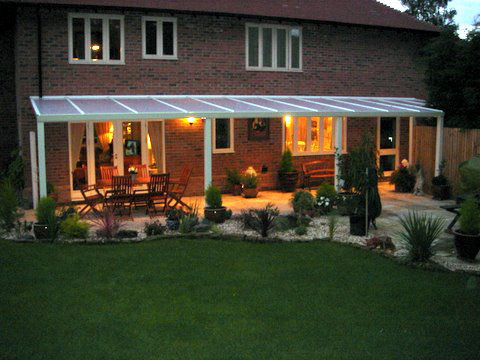 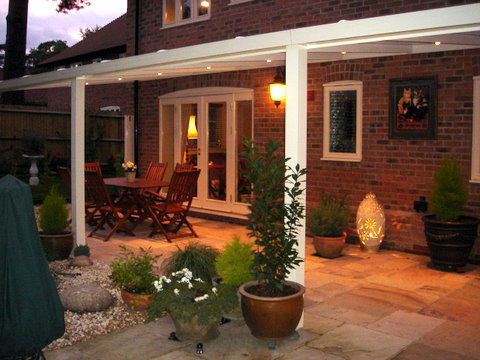 A Veranda will transform your patio into an all year "Living Space", our German designed and engineered Veranda can create a stylish and practical outdoor room. 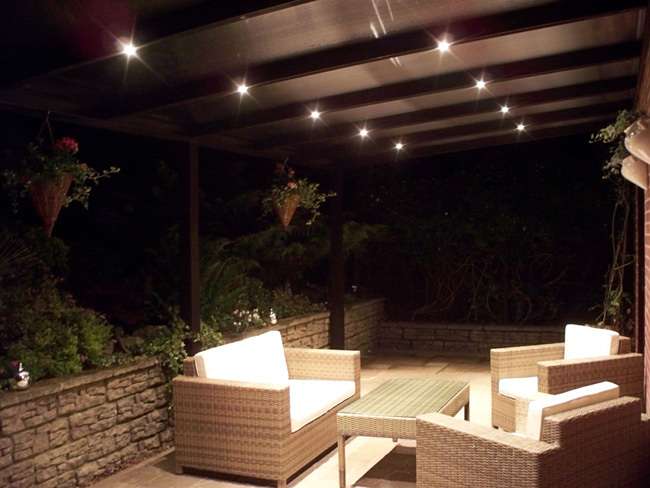 Your space to relax or entertain; enjoy your patio day or night with our integral lighting option. 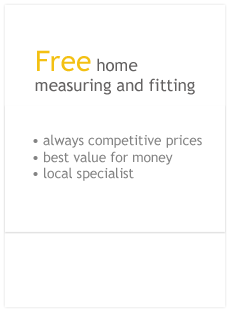 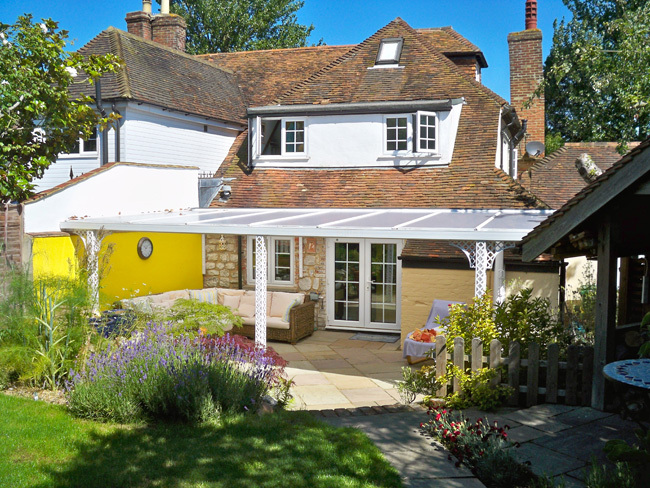 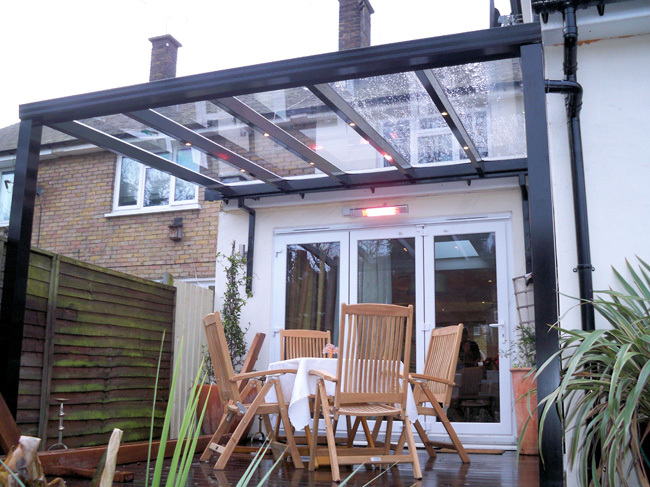 Our Infra-red heating options will enable you to use your "Living Space" throughout the year. 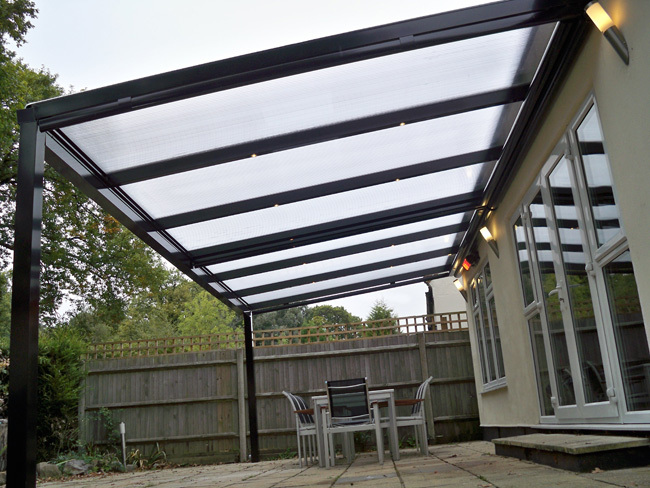 Our bespoke remote control screens enable you to filter the sun or provide privacy. 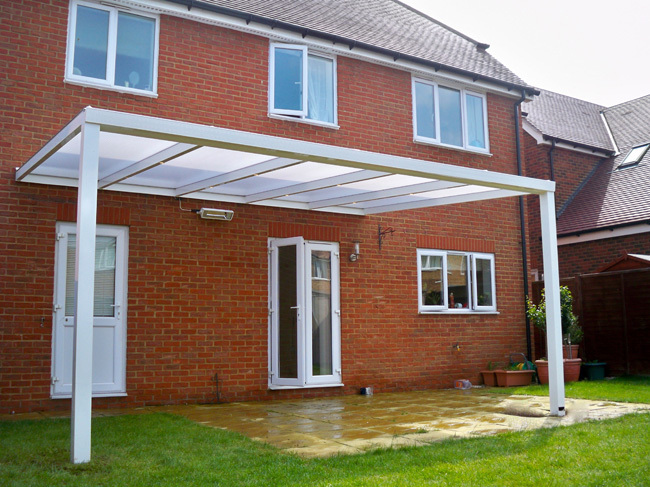 Standard build model: any width. 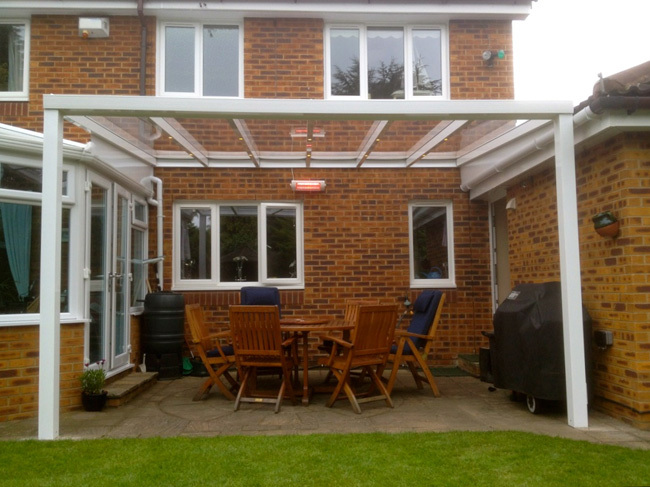 Standard build: up to 5 metre projection. 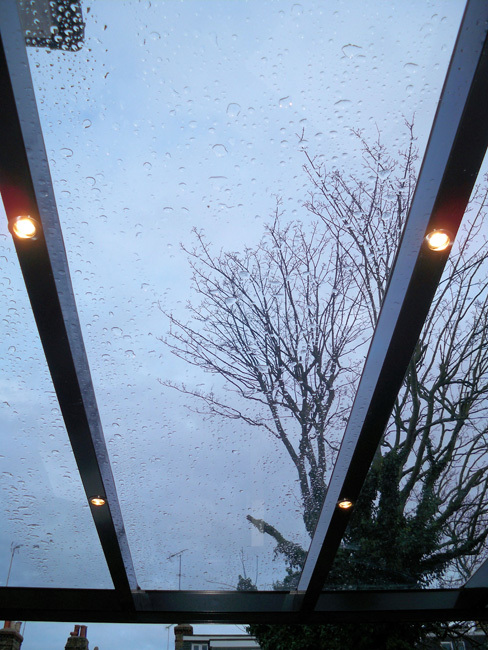 Integrated guttering: essential for the UK climate. 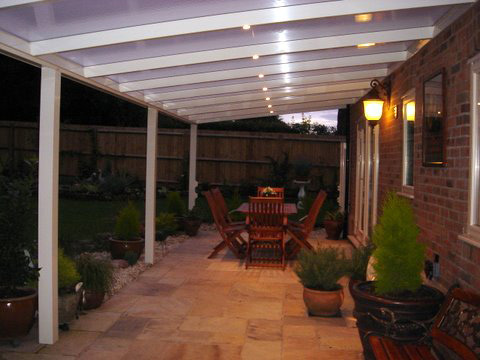 Wide span up to 7 metres with only two posts/ legs; no centre post required, offering uninterupted views. 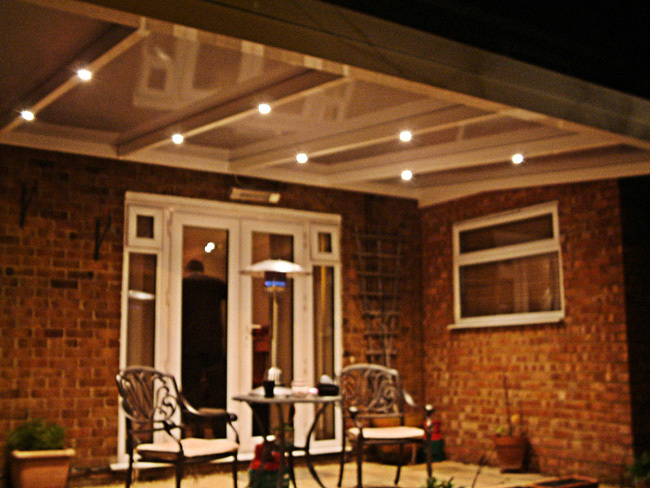 Combine heating and lighting for the ultimate entertaining area.